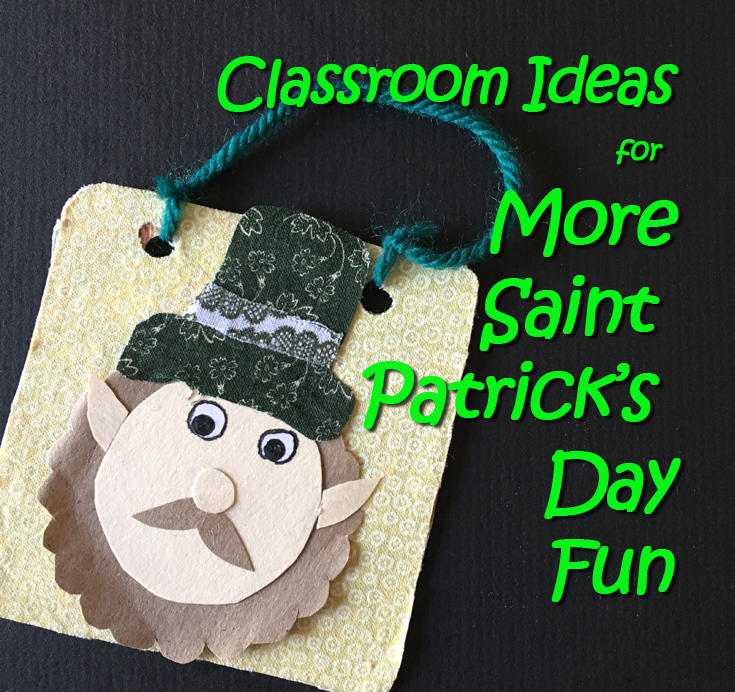 Today, I though I would write about some more fun ideas for Saint Patrick’s Day that I’ve saved in my Pinterest collection. They’re mostly on my Winter board (even though it’s starting to seem more like spring here). I got the idea for the little doorknob hanger in the image above from a blog post at Splitcoast Stampers. My version is made from scraps of fabric and paper, and I thought it would be a fun craft to do with kids for the holiday. 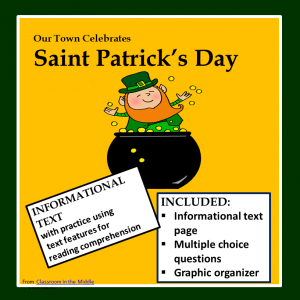 The leprechaun’s face is made from a file folder, and his beard and mustache are from a grocery bag. The eyes are punched out from a white label, which made them especially easy to stick on, but white paper would do as well. His hat, hatband, and the light green background are all made from scraps of fabric. For the backing, I just used cardboard cut from a cereal box. If I was doing this with a class, depending on the kids’ ages of course, I would probably cut out the fabric pieces ahead of time and let the kids cut the rest and glue it all together with a gluestick. Another Saint Patrick’s day craft that I really like is this little candy shamrock made from chocolate kisses and green construction paper. I found it with a tutorial at Qbee’s Quest. I think this would be a great one to make ahead for an inexpensive treat to give the kids as a Saint Patrick’s Day surprise. 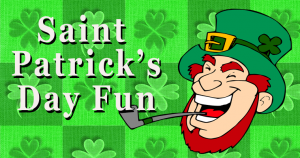 Here you can find several videos, around 2-3 minutes long each, about various Saint Patrick’s Day traditions from the History Channel: Saint Pat videos, including one with a really quick history of the holiday. One more, this persuasive writing lesson from Scholastic, uses the idea of kissing the blarney stone as motivation. Once each student kisses their blarney stone, their writings are guaranteed to be persuasive, since as everyone know, kissing the blarney stone gives the gift of gab! I like the little detail in the lesson where each kid is photographed kissing their blarney stone, just are tourists are frequently photographed on vacations to Ireland. I’ll end this with another Irish wish, because, goodness knows, teachers can use all the good wishes they get! 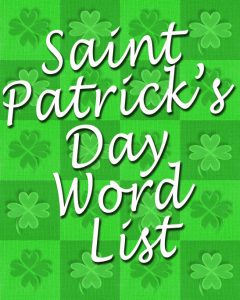 A free word list, my first Saint Patrick’s Day Fun post, and an informational text resource.